Modi had announced on Wednesday that India had developed the capability to target a low earth orbiting satellite with an Anti-Satellite missile. The CPI-M on Wednesday accused Prime Minister Narendra Modi of violating the Model Code of Conduct by announcing an Indian scientific achievement in space amid an election campaign in which he himself is a candidate. 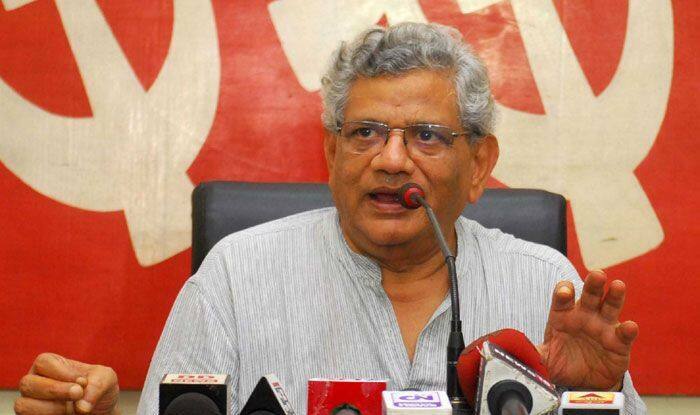 “Such a mission should normally be announced to the nation and to the world by the relevant scientific authorities like the DRDO,” CPI-M General Secretary Sitaram Yechury said in a letter to the Election Commission. “Instead, the Indian Prime Minister has taken the route of an address to the nation in making this announcement,” he added. This, he said, was a clear violation of the Model Code of Conduct. Modi announced earlier on Wednesday that India had developed the capability to target a low earth orbiting satellite with an Anti-Satellite missile, becoming only the fourth country to do so. “I would like to know that if the Election Commission was informed of such an address to the nation by the Prime Minister and did the Election Commission consider and permit such an address to the nation by the Prime Minister? “I am sure that the entire country would like to know the special reasons why the Election Commission permitted the achievements of Indian scientists to be politically coloured during the course of the general elections,” Yechury added. In any case, the CPI-M leader pointed out that India had developed this capability was announced by the then chief of the Defence Research and Development Organisation (DRDO) in 2012. “Following the successes of India’s anti-ballistic missile defence programme and the Agni series of missiles, this capability was incorporated into the anti-satellite weapon development programme,” he added.